Time for another round of Yvo’s Shorties! This time around an urban fantasy slash murder mystery that was highly entertaining, Rivers Of London, and a very beautifully illustrated guide to Greek Mythology for both young and old: Mortals And Immortals Of Greek Mythology. I’ve been meaning to start this series for a long time and already had a copy on my kindle, but during our Europe trip I was able to get a physical copy of the first two books. And I love LOVE the details on the cover! I couldn’t resist picking up my copy of Rivers Of London and as I started reading the story made an excellent first impression. Why? First of all, the writing style is engaging, strangely funny at points and solid in general. This made it easy to connect to the story and fully emerge myself in this urban fantasy slash detective story. The second thing that stands out is exactly this mix of genres. Paranormal elements, Gods, ghosts and other monsters are mixed with a good old murder mystery in such a way that just hit the mark for me. Part of this success is the main character Peter Grant, since he is discovering this strange new angle of the city of London along with us. Did the story drag at points and became a tad too slow? Probably. Did my initial enthusiasm fade away a little towards the end? Maybe. 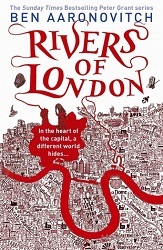 But while not perfect, I still had a great time with Rivers Of London despite a few minor flaws and problems. Between the main character and the mix of genres, I was pleasantly surprised by this first book of a series I will definitely be continuing some time soon. I’ve had my share of Greek mythology during high school in my ancient Greek and also Latin classes. Knowledge has slipped a little since, so when I saw this title on Netgalley, I couldn’t resist. 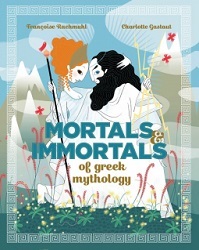 Mortals And Immortals Of Greek Mythology is ment to give children a little insight in who is who in Greek mythology with the help of both lovely illustrations and easy to follow short descriptions and stories around the characters. The cover gives you a perfect example of what the illustrations are like, and this beautiful style is used throughout to show us both the characteristics of each mortal and immortal described as well as illustrating the stories themselves. Wonderful to look at and educative at once: this handy and interesting guide will be an entertaining journey for both young and old. Confuse the different Gods and how they relate? Heard about some story or character before, but not sure about the details? Mortals And Immortals Of Greek Mythology will take away those doubts while also giving you a wonderful reading experience. 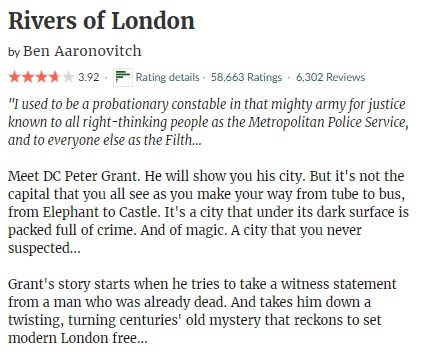 This entry was posted in 2018, 3.5 Star Rating, 4.5 Star Rating, ARC, Book Reviews, Netgalley and tagged 3.5 star rating, 4.5 star rating, arc, ben aaronovitch, book review, children, crime, detective, fantasy, fiction, francoise rachmuhl, ghosts, mortals and immortals of greek mythology, mystery, mythology, Netgalley, paranormal, peter grant, published in 2011, published in 2018, rivers of london, series, thriller, translation, urban fantasy, young adult by Yvo. Bookmark the permalink. Rivers of London sounds interesting 🙂 I must keep that one in mind.. I really like mythology in books! It’s a shame it doesn’t get used more often… The stories are fascinating and work really well for retellings.